Thousands of speakeasies were shuttered with these warning signs back in the Roaring 20s and early 30s. 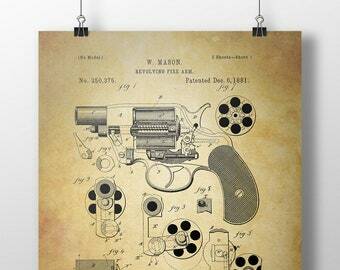 Now one of these retro reproductions would make perfect decor for your bar, game room, rec room, kitchen, or man cave! 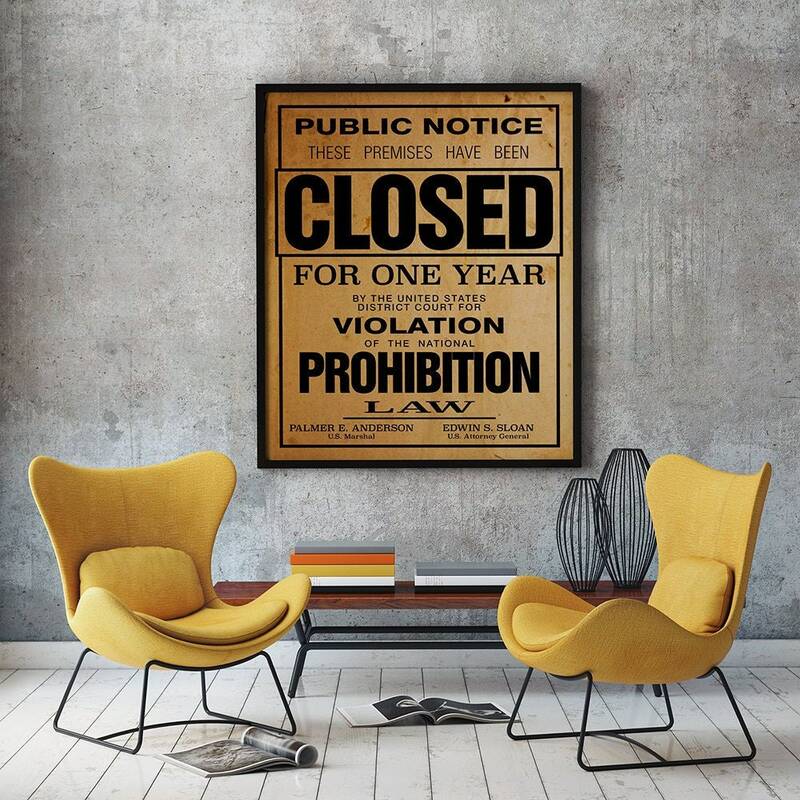 This is a faithful reconstruction poster or print of a sign from the era of prohibition, a nationwide constitutional ban in the United States on the production, importation, transportation and sale of alcoholic beverages from 1920 to 1933. 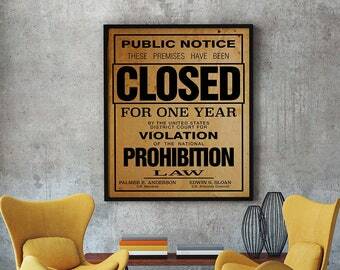 Full text reads: "Public notice: these premises have been closed for one year by order of the United States district court for violation of the national prohibition law." Bold black letters on a faux aged paper textured background. Also available with black letters on white, and white letters on black. Note: Image in mock-up is not to scale. The size shown is approximately the dimensions of a 20x24 poster. Other sizes have slightly different aspect ratios. Exactly as described... shipped and arrived right on time. Mounted on black foam core and looks fantastic!